So today we will look at the UK's top 10 most famous and popular hot hatchbacks since the 1960s all the way to 2001 and asks the question - how many of them are left and still roadworthy? Well, as luck would have it, All Car Leasing has also done the research, crunched the numbers and found out just how many. Not only that, they’ve also listed out the specs of all the cars they discuss, how much they were worth brand new back in the day and also how much can you get them now from websites like Auto Trade or eBay. 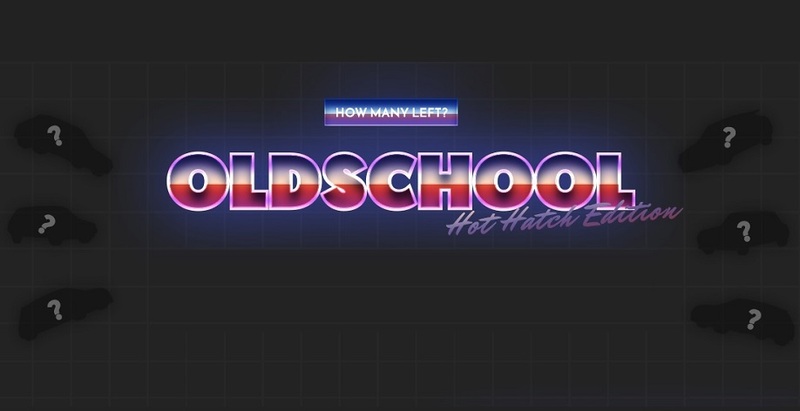 If you’re a fan of old-school cars and hot hatches then you’ll love this infographic. What are some of your fondest memories of driving when you were younger? Which car that you either owned or really wanted to own made you jealous when seeing it zip by you? We would wager that 9 times out of 10 that the answer to both of these questions would be a hot hatchback. And we’re going to guess that the infographic below will contain at least one of them! What is a hot hatchback? If you’ve never heard of the term hot hatch then chances are you’re not from the UK. A hatchback is a small car, sometimes called a supermini, which I characterized by a ‘hatch’ instead of a boot and an overall smallish chassis. Hatchbacks gained popularity in the UK due to their lower cost to purchase and increased economy from a smaller engine…however, many manufacturers always create a special edition for their hatchbacks with a supped up engine and a body kit. These special editions grew in popularity and began being affectionally known as ‘hot’ hatchbacks. In following infographic developed by team "All Car Leasing" there are best 10 of these listed - do they ring any bells? Before EU regulations became stricter and before global warming became the huge issue it is today the above hatches ruled the roads and were a thrill to drive but just how many have survived the test of time. Let’s find out!